More than 700k downloads and 4+ stars, Cover has been featured several times by Microsoft in the US, France, CA, etc. 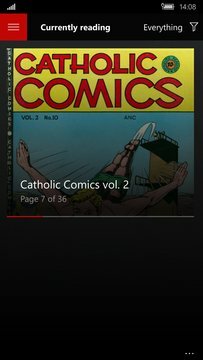 - Store your comic books wherever you want: Local folder, network, OneDrive, Dropbox. - Check the features list below for much more! 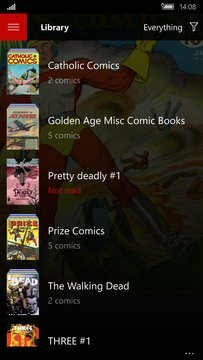 From US comic books to Japanese mangas through European comics, enjoy your whole library wherever you are: The Walking Dead, Batman, X-Men, Largo Winch, Asterix, Naruto, One Piece, ... are all within reach at anytime, in the smoothest reading experience of the Windows Store. If you like the app, please leave a review, it helps! imagecomics.com or comicbookplus.com. Cover is compatible with any DRM-free comic book.